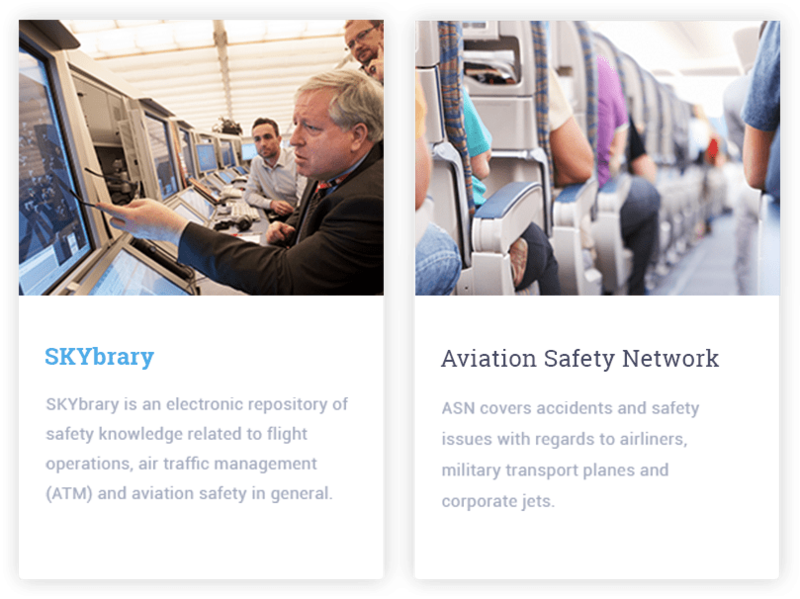 Bringing aviation safety to the digital forefront. 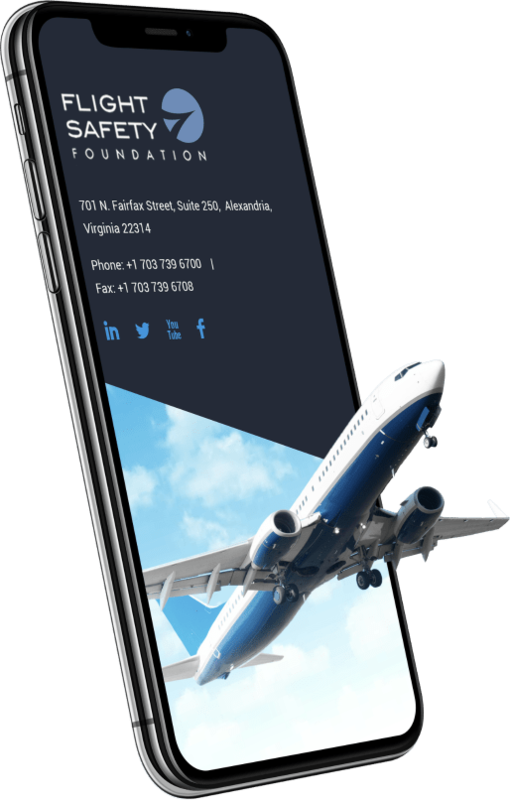 Flight Safety Foundation is the premier independent, international nonprofit flight safety organization which serves to protect everyone who enjoys the aviation industry. FSF’s membership includes more than 1,000 organizations and individuals in 150 countries, including major airlines. 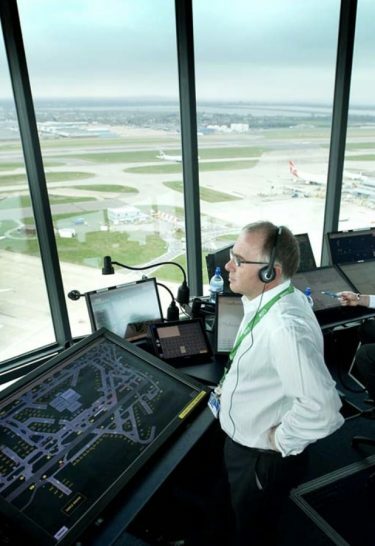 FSF’s research and advocacy is vital to the safety and integrity of the aviation industry. 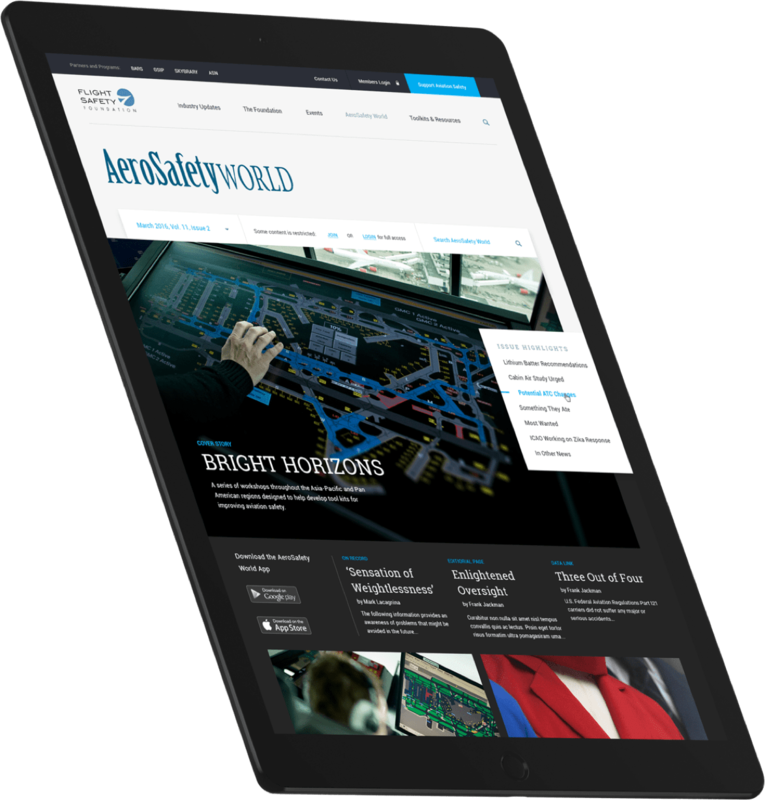 Design a digital strategy for the Global Safety Information Project (GSIP), to better engage members and provide crucial thought leadership. WDG created and executed a comprehensive digital strategy through an improved information architecture and site design powered by a WordPress CMS. Through improved user experience, FSF is able to promote membership and improve industry leadership, therefore maximizing conversions. 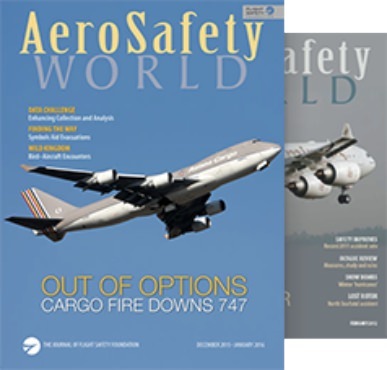 FSF required seamless incorporation of their externally branded properties including GSIP, SKYBrary, Aviation Safety Network, and Basic Aviation Risk Standard. Other integrations include a Salesforce single sign on integration with a members-only content option, and crucial advertising integrations. SwiftType was implemented to help users quickly and intuitively search the website for information they need. Intuitive information architecture streamlines the overall site structure with improved taxonomies. Airy design meets flexible components. 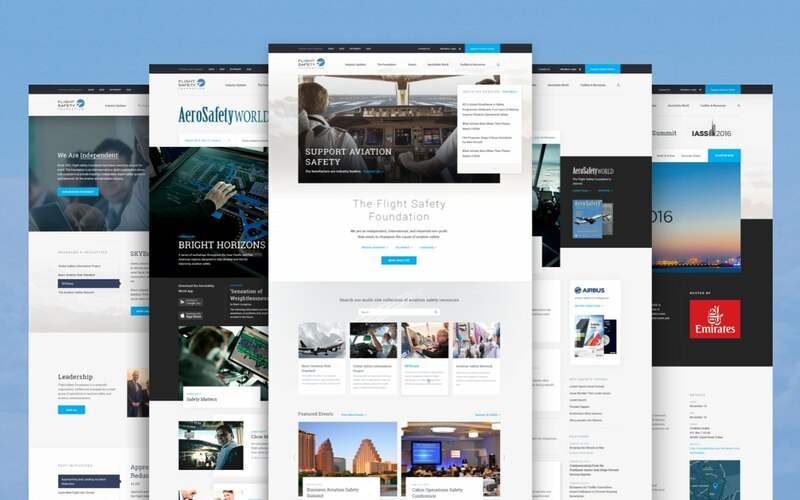 Our team explored the desired brand concept, which required a light and airy feel, in order to promote a positive outlook of the aviation industry. In addition to executing an intuitive navigation layout, we also considered custom components. 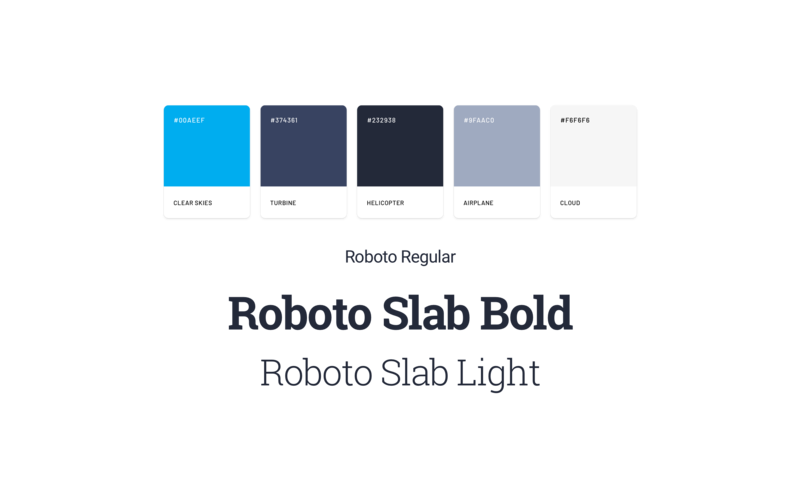 The footer is highly customized with key accessible pages sharing space with graphics. Responsive design was also considered throughout the process. FSF wanted to engage users on all devices, whether using a desktop at work or browsing a mobile phone on the go. The FSF site is enjoyable and easy to navigate no matter what device is used. The responsive multi-level menu system was custom built to display on small screens while maintaining the navigation’s user-friendliness. Organizing for the greater aviation audience. 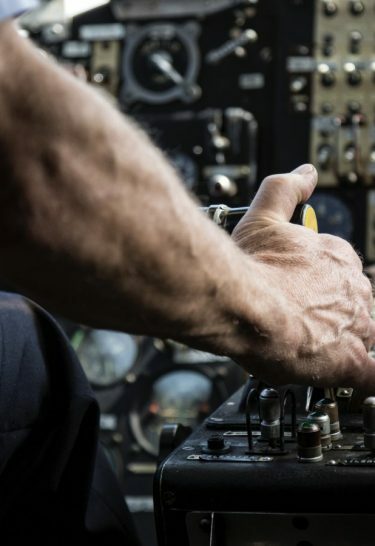 FSF shifted from an individual benefit-focused organization to a foundation that supports the overall promotion of safety within the aviation industry at large as part of a rebranding effort. In order to position the website appropriately with the new brand focus, a content curation and aggregation system were built to offer notable industry content as well as content sourced via their editorial staff. 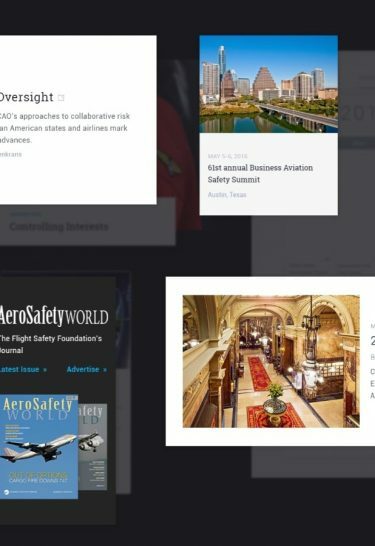 This “one-stop-shop” approach to the subject allowed the website to anchor the interest of a new generation of aviation safety enthusiasts. FSF sought to strengthen engagement with their organization and content. The multiple platforms for engagement that FSF already had in place included events, webinars, social media, email, and their magazine. Our digital marketing team created an easy, user-friendly event and webinar registration process. We also created event microsites that were utilized to promote major conferences and programs, as well as highlight sponsors, schedules, and advertisement. WDG also implemented email marketing campaigns that would engage with FSF’s underused email lists and notify users of upcoming news and events. Another step closer to eliminating cancer forever.